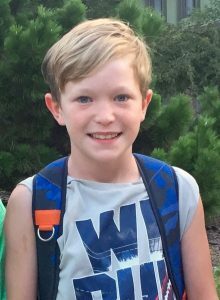 When Jack Bachman turned 11 in 2017, he continued a tradition he began on his 8th birthday: he asked his friends to give to others rather than him. Jack says he likes to help kids who “don’t have a chance to do all the things I get to do,” so he asked his friends for gift cards to places they like to go, like Chipotle. And, then, he sent the gift cards to ProKids.